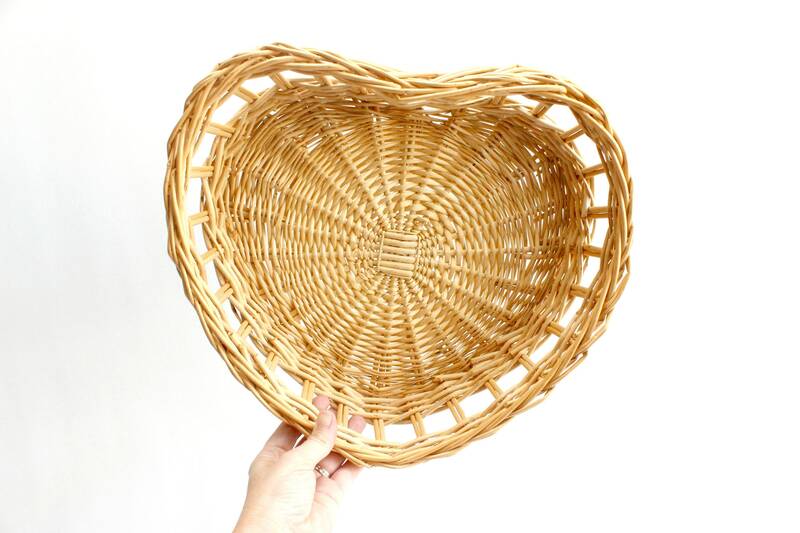 Woven wicker heart shaped basket bowl/tray. 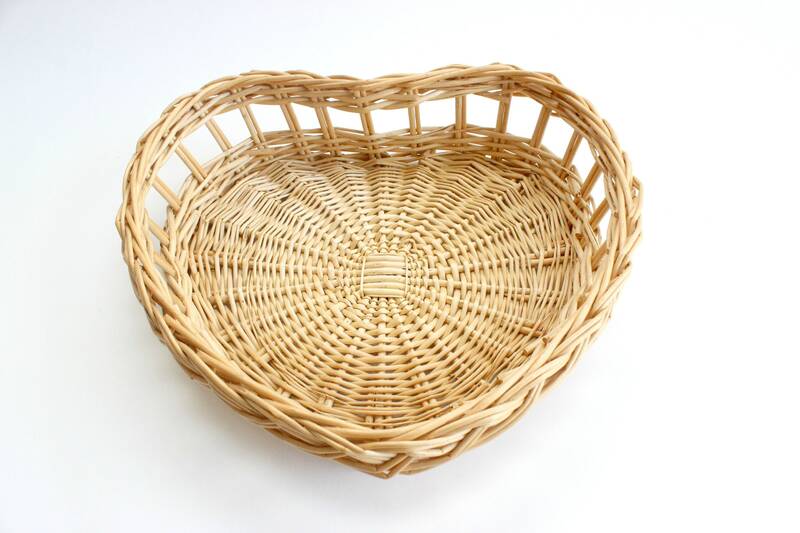 Light blond wicker. 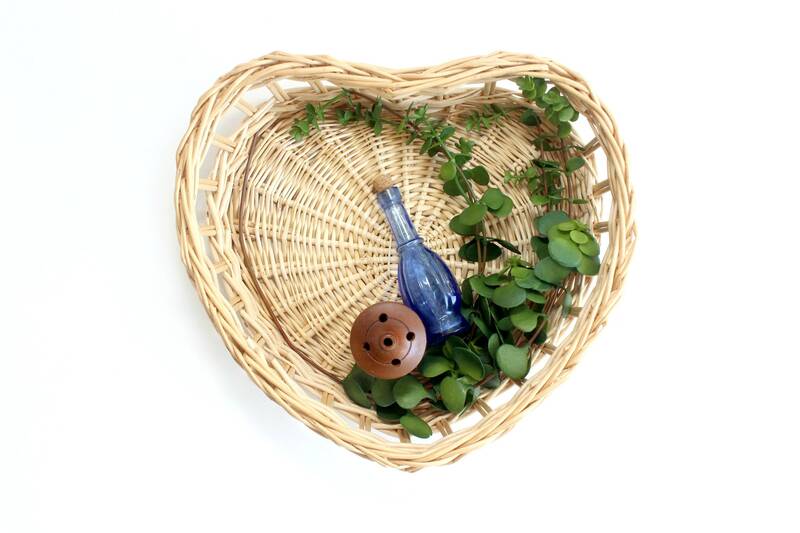 Makes lovely wall decor! 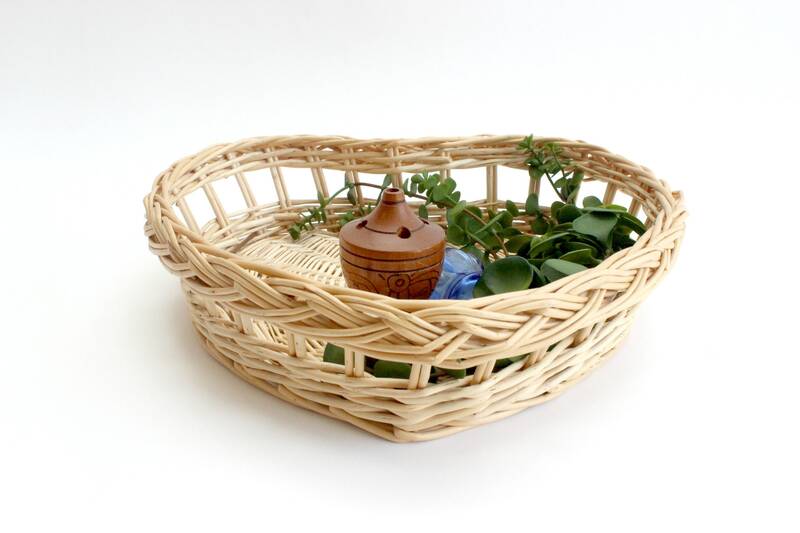 Can also be used as a centerpiece or for storing small trinkets. Measures 13 inches long, 11 inches wide and 3.5 inches tall.